18V ONE+™ BOLT CUTTER is rated 5.0 out of 5 by 7. Rated 5 out of 5 by CTdoitursl4 from Better than expected! Having installed two homes worth of modular wire closet shelving systems in the past and suffering with only a hacksaw to cut the shelving, I figured the new Ryobi Bolt Cutter would be a big help. I was not disappointed - this unit was quick and easy, making short work of the standard steel wire shelving. I estimate approximately 80 cuts for 3 closets in the new home. The small Lithium battery was still showing 4 bars! Out of curiosity, I wanted to see what else the new ONE+ bolt cutter could overpower so I found some heavier steel to cut around the house. I cut a 1/4" lag screw 4 times quickly. A 5/16 shoulder bolt was no problem either. I stepped up to a 5/16 hardened aerospace grade bolt and again the cutter sliced through it several times quickly. The last challenge I found was a large Master lock with a 3/8" shackle. I expected some hesitation but again, no problem whatsoever. If anything, the bolt cutter split the hardened steel bolts faster because they are less pliable. 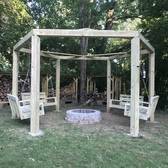 The bolt cutter is well constructed, very solid. I think the ergonomics of the two button controls can be improved, but that is a very minor gripe. From my experience, I definitely recommend this tool. Rated 5 out of 5 by Mattss from Powerful bolt cutter I used this the other day to cut off a padlock that I could not find the key for. I was blown away at how easily it cut through the lock. Best of all no manual effort on my part. I am about to replace some wire closet shelves, and I am not dreading it so much now because I know this will make easy and clean cuts. Rated 5 out of 5 by lewis818 from A Cut above the rest I had no real need to have this, I just bought it to add to my ONE+ collection: however, after using it, this tool surprised me in how effective and efficient it was. I was very impressed to say the least. I'm glad I picked it up now. Rated 5 out of 5 by TRZ1 from Save your energy and use this bolt cutter! Ryobi says that this bolt cutter can cut up to 3/8” medium – soft metal, and ¼” hardened metal. I think they are just being modest. I put this bolt cutter to the test, and it cut through everything and anything I put in from of it. Metal chain, half inch galvanized and stainless lag bolts/screw, Boron locks, and most impressively, a crescent wrench (just because I thought it would be cool). Nothing stood a chance in those Jaws of Life, and I was completely blown away. Not to mention, you can make cut, after cut after, after cut without even denting the battery life. As for build, its heavy duty, and really takes a lot of abuse. The jaws took a ton of abuse, and they just kept eating. The grip on this cutter is also really nice and prevents your hands from slipping because of the textured grip. The line of sight on this tool is also great and allows you to see what you are cutting easily. I got to say I put this new bolt cutter to the test, and it went above and beyond. If you are tired of busting up your hands with a manual set of cutter, try this bad boy out and save your energy as it is effortless to use! 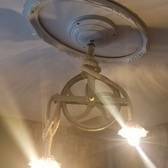 Rated 5 out of 5 by ChipperM3 from So easy to use! I bought this tool a month ago so that I could cut metal wire shelving for our linen closet. This tool was extremely easy to use and it got the job done with no fuse! I plan on using it again when we upgrade our pantry with the same wire shelving. 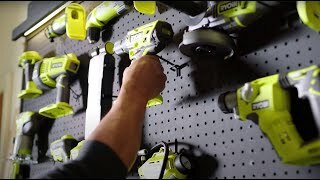 I own multiple Ryobi tools and the fact that they all run off the same battery makes them a great value! Great job Ryobi! RYOBI introduces the new 18V ONE+™ Bolt Cutter, designed to replace 14" manual bolt cutters. 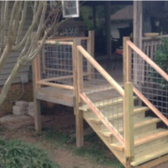 The hot forged steel jaws open to accommodate materials like chains, locks, bolts, fencing and wire shelving up to 3/8 in. 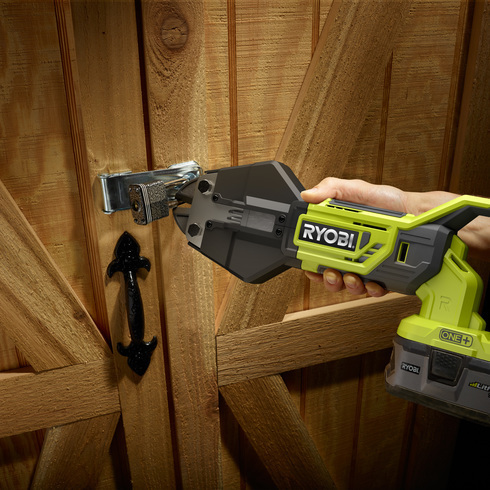 in diameter, and perform up to 200 cuts per charge using a RYOBI High Capacity Lithium+™ battery. The innovative design minimizes hand and arm fatigue typically experienced with manual bolt cutter, and the clear sight line in the design allows for optimal visibility of the cut area. Additionally, this tool features separated forward and reverse buttons for precision cutting control and repetitive cuts. 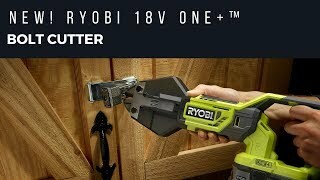 The RYOBI 18V ONE+™ Bolt Cutter is backed by a 3-Year Warranty and is part of the RYOBI ONE+™ family of over 100 tools.